The Pioneers have brought back another one of their own, Bernardo Perez, to be the hitting coach at Rookie League Chestermere. Perez played 4 seasons with the Pioneers, mostly as a DH and had one of the greatest home run years of anyone in team history. In 2027, the waiver wire acquisition hit 56 homers, drove in 116 runs and posted a .946 OPS. He also had an impressive 196 strikeouts. Both his home run and strikeout marks have only been surpassed by Rupert Grant. Perez played parts of 10 seasons with 6 different teams. Calgary was the only one he stuck around more than a year. He was an all or nothing player that hit a homer every 13.7 at bats and struck out 1 out of 3. He was an all star and a Puckett winner during his career year in 2027. After hitting 134 homers over 4 seasons with the Pioneers, they let him go after he only hit .185 in 2028. 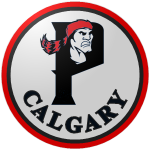 With the addition of Perez, 11 of the team’s minor league managers and coaches are former Calgary players. Big league manager Terry Cochran and hitting coach Don Goodwin are also team alums.